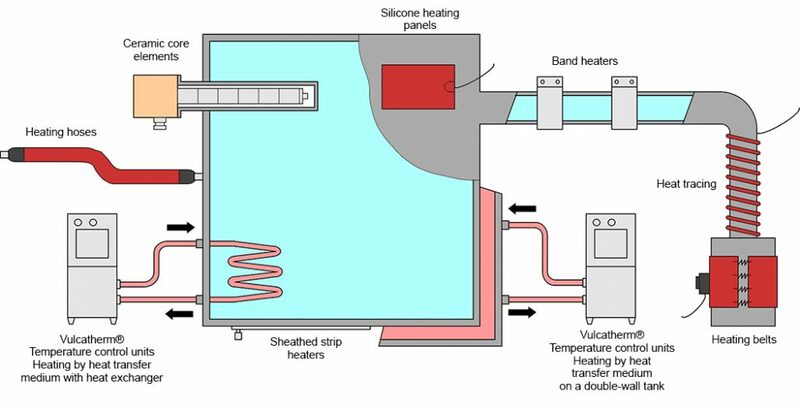 The heating of a liquid by natural convection (static fluid) or forced convection (circulating fluid) is carried out by electric resistors in direct contact with the fluid. The liquid is heated through the walls of a tank, pipework or a sheath. The source of heat is not in direct contact with the fluid.